We are a leading Exporter of worker jacket, sleeveless worker jacket and safety harness wear from Kolkata, India. 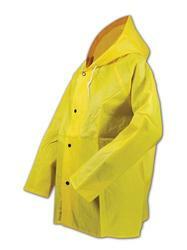 We manufacture and export different kinds of Worker Jacket at industry leading prices. Our products are manufactured using excellent quality fabric such as waterproof fabric, polyester/cotton fabric, polyester fabric etc. These jackets provide safety to industrial workers and labors while they are at work. 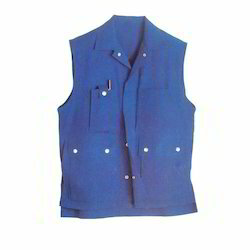 For meeting the diverse requirements of our clients, we are engaged in offering a wide range of Sleeveless Worker Jacket. These Sleeveless Worker Jackets are designed keeping in mind the latest trends of the market. Offered in various designs, patterns and sizes, these jackets can also be customized as per the requirements of our clients. We provide various range of Safety Harness Wear. 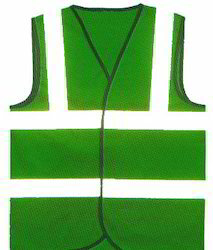 These Safety Harness Wear are made from high quality material & can be availed from us at reasonable rates. Looking for Worker Jackets ?